NIU’s 2016 World Music Festival is approaching. The NIU Middle Eastern Music Ensemble, directed by Omar al Musfi and guest artist Issa Bolous, will kick off this year’s festival at 6:30 p.m. Thursday, April 7, in the NIU School of Music’s Recital Hall. Musicians will perform a wide array of traditional and contemporary Arabic and Turkish music. All the events in the 2016 World Music Festival are open to the public free of charge. For information, email Jui-Ching Wang at jcwang@niu.edu. KeCak: Vocal Gamelan, a workshop with the Cortland Elementary School Choir directed by Jodeen Coulter, takes place from 3 to 4:30 p.m. in Music Building 171. The NIU Chinese Music Ensemble will present a concert of Chinese music in the Recital Hall at 6:30 p.m. I Made Lasmawan will work with the NIU gamelan ensemble in two workshops at 10 a.m. and 1 p.m., both in Music Building 102. 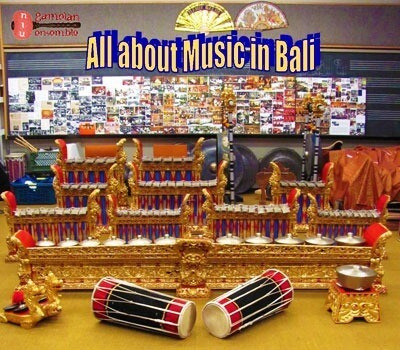 Ryan Sutherland, an Emory University senior and an alum of the NIU Summer Study Abroad Program-Experiencing the Arts in Bali, 2015, will present “Indonesian Gamelan and the West,” a guest lecture-recital, at 3 p.m. in the Recital Hall. The Northern Wind Trio, a world music fusion Lab, conducted by Zac Economou, Tamir Hargana and Aaron Marsala, will perform at 5 p.m. in the Recital Hall. 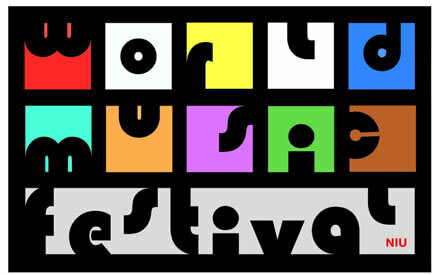 The 2016 World Music Festival concludes with the 3 p.m. World Music Concert, “Sounds of Harmony,” in the Boutell Memorial Concert Hall. In addition to showcasing NIU’s regular gamelan, Chinese, Middle Eastern and Irish music ensembles, festival organizers have for the first time invited two Chicago-based student groups: the Korean Pungmul (folk music) group from the Global Pungmul Institute, directed by Byoung Sug Kim and Suwan Choi; and the Mariachi Los Pumas de Soccer Academy Elementary, directed by José Ozuna. Dedicated to preserving the traditional music of their respective cultures, these groups help audiences to recognize the educational value of the NIU World Music Festivals by keeping musical traditions alive. Meanwhile, students are encouraged to “put new wine into old bottles” by fusing various musical idioms, new and old, western and eastern, popular and classical.